Hi, friends and readers. 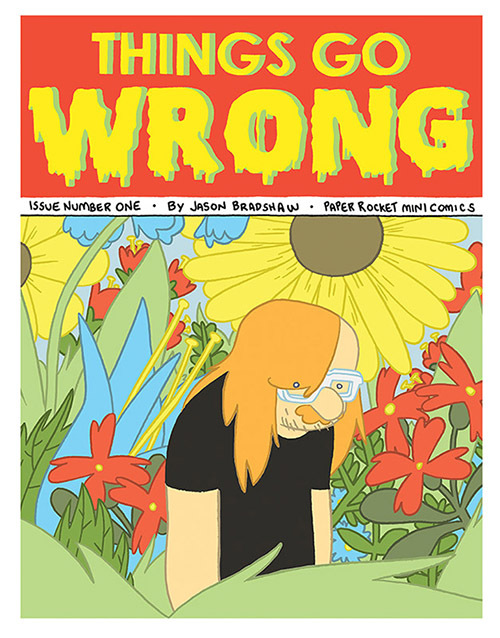 I’ve now added Dear Missy and Things Go Wrong #1 to the shop. If you backed my Kickstarter, your comics should have arrived by now. Drop me a line if they haven’t! 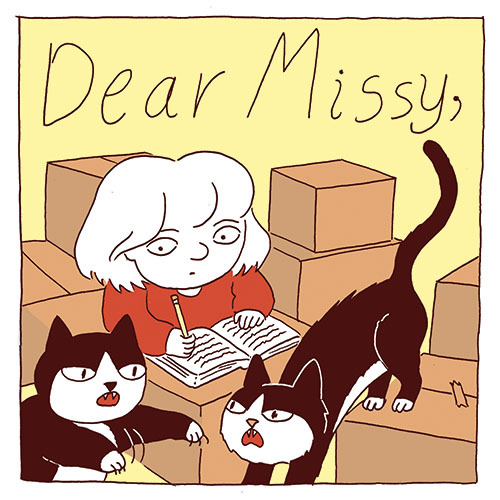 I’m very excited to be debuting two new minicomics this fall: Dear Missy and Things Go Wrong #1. Back my Kickstarter to pre-order them now! Daryl’s best friend is her diary, named Missy. When her parents get divorced, she confides her feelings to Missy in the form of a poem. In fifty sweet, sad, and hilarious panels, Daryl puts words to her heartbreak as only an eight-year-old can. 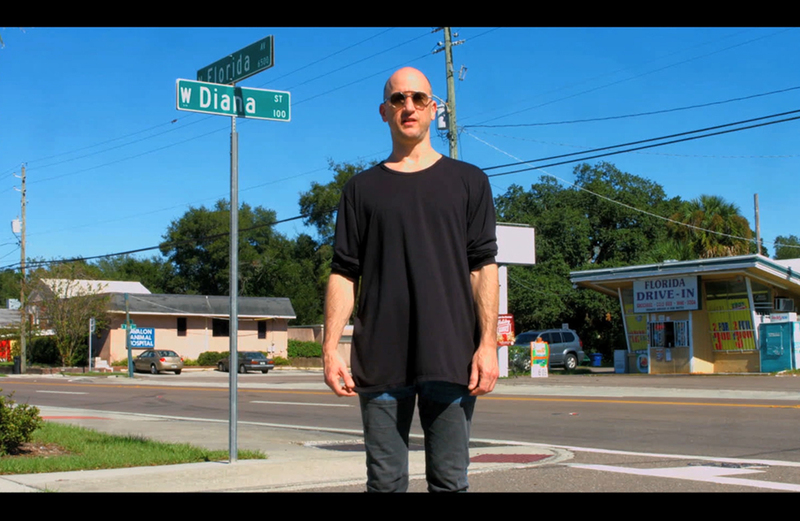 James is a frustrated artist who’s slowly killing himself through self-sabotage and neglect. He is sporadically employed (hack work, not “serious” painting) but spends most of his time alone in his apartment, shin-deep in discarded take-out containers and pizza boxes. When he comes down with a painful digestive ailment, his doctor prescribes the medication he needs. James must follow a few simple steps to save his own life…but sometimes these things aren’t as simple as they seem. Both of these books will be available at SPX! 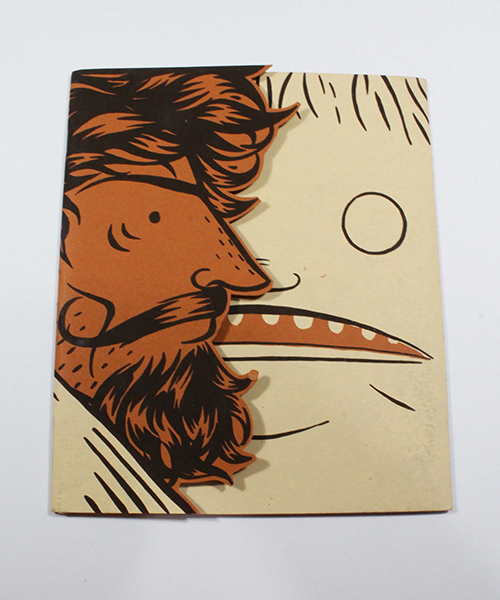 If you back my Kickstarter, you can pick up your copy at the show. Also, Daryl will be tabling with me! Stop by and check out her other great Missy books. 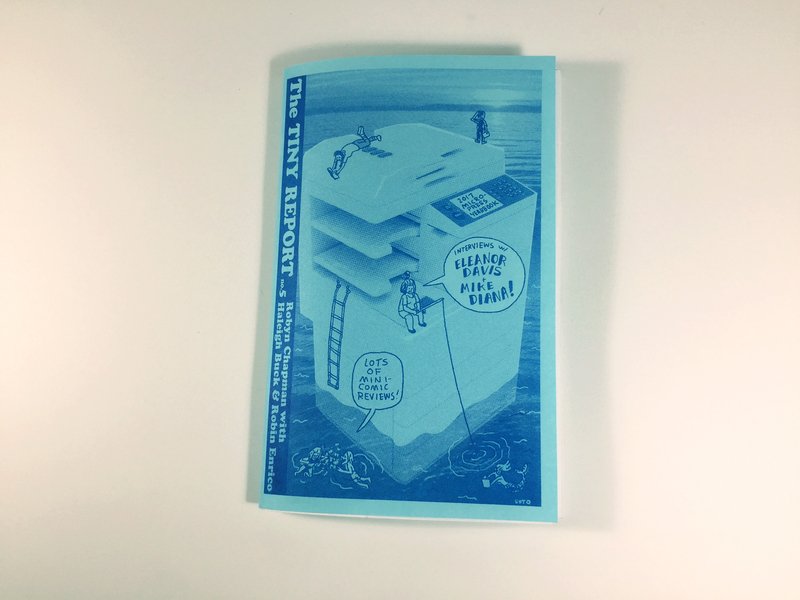 In case you missed the Kickstarter, you can now purchase The Tiny Report 5 and The Age of Elves 3 at my Storenvy shop. 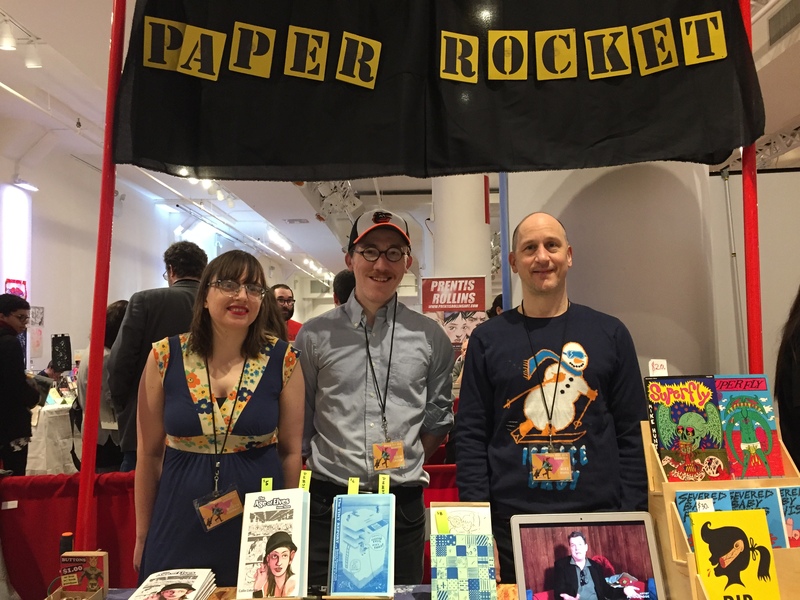 We had an excellent debut at MoCCA this year. 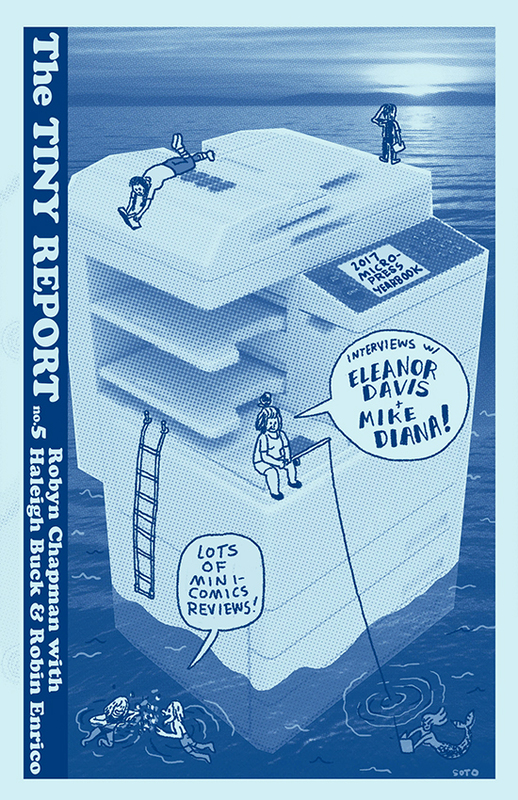 The Tiny Report 5 sold out! Colin was there with Age of Elves 3. I also invited Mike Diana to the table! It nice getting to know him better. Now that all the Kickstarter rewards are sent out, it’s time to move on to the next thing. More to come on what that is! 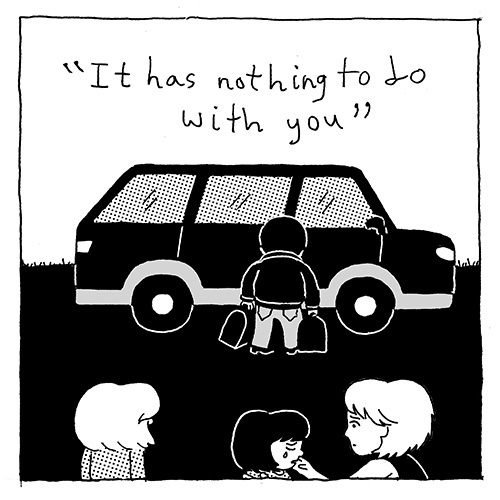 I’ll be publishing two titles in April, just in time for MoCCA Fest. You can preorder them until April 6 on Kickstarter! 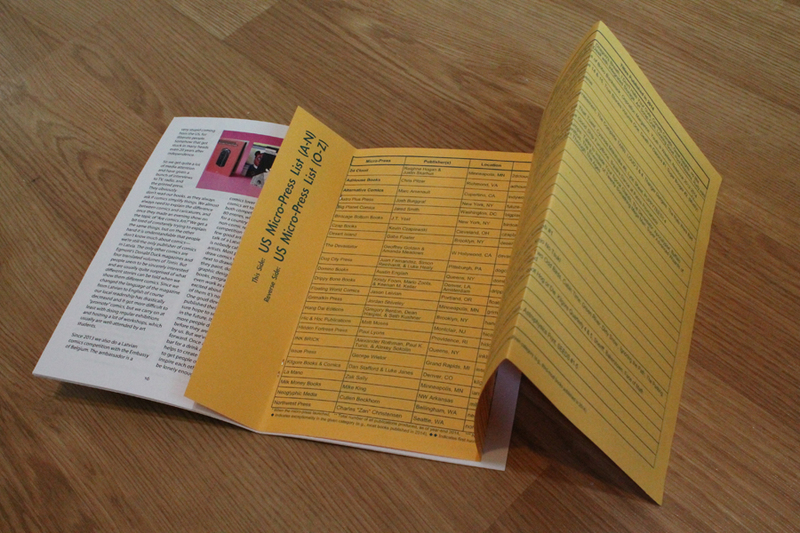 As usual, I’m publishing my annual small press zine, but the focus has changed a bit. 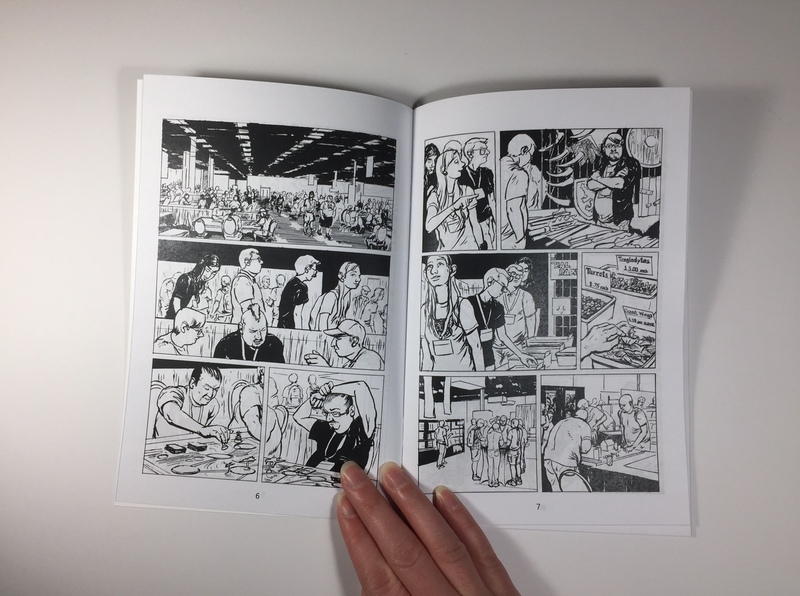 I’ve shifted from just covering micro-presses to widely cover small press comics, especially minicomics. 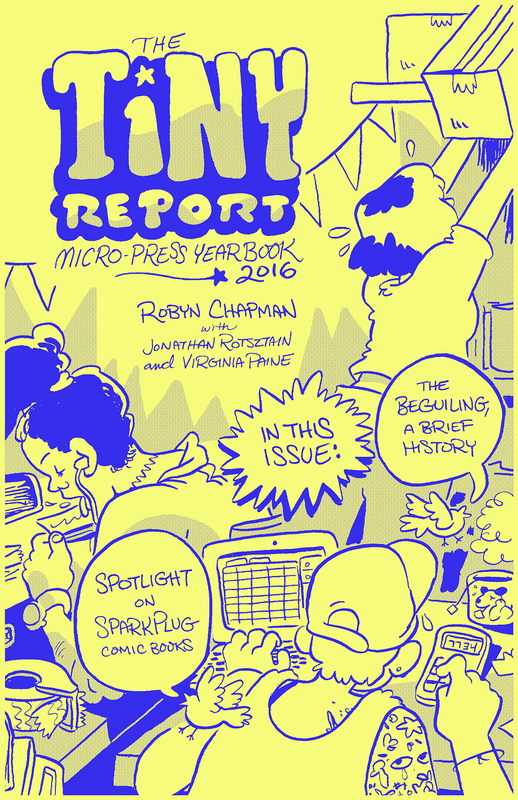 So I changed the title from the Micro-Press Yearbook to The Tiny Report. 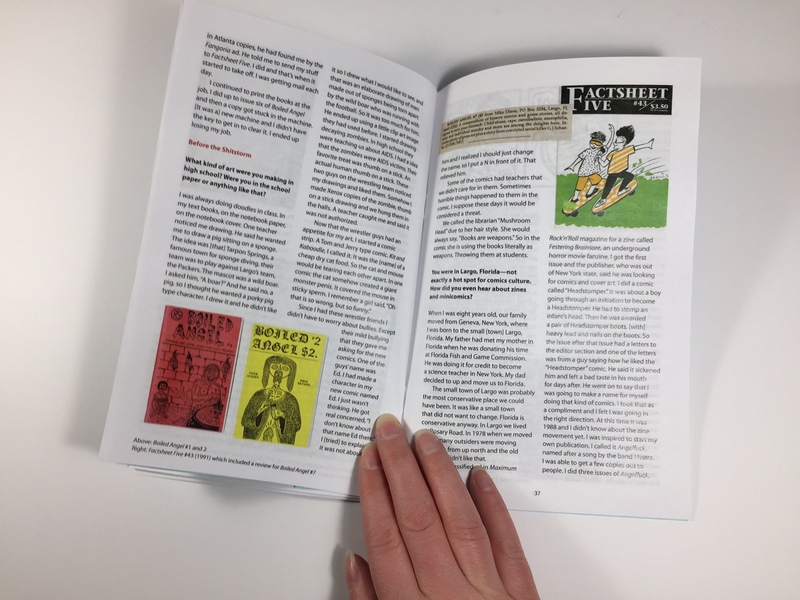 There is still a Micro-Press Yearbook section, with a fold-out chart, but there are also lot of minicomic reviews and interviews with artists. We will have two main features. 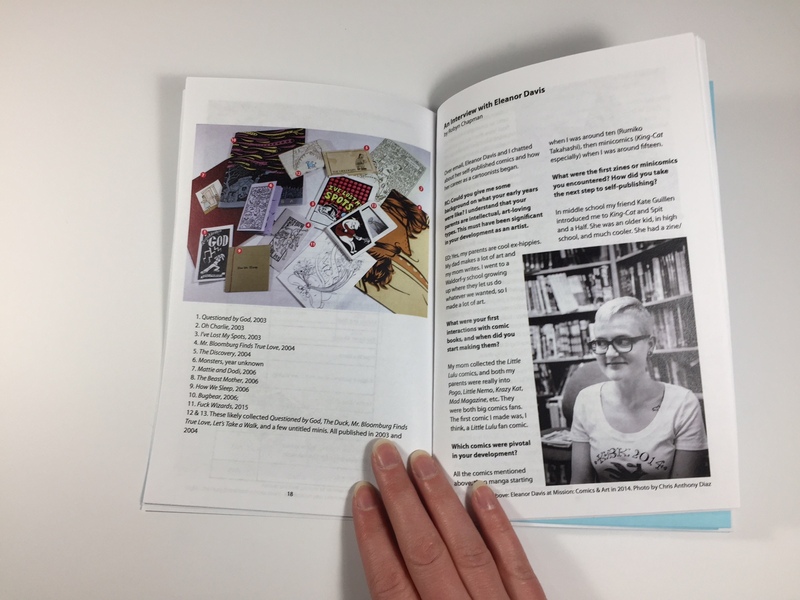 I wrote a profile about Eleanor Davis’s early minicomics, did a short interview with her, and created a near complete bibliography of her self-published work. 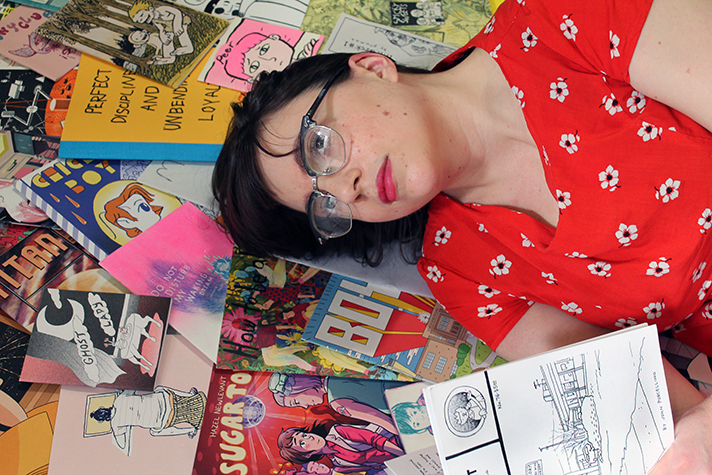 And Robin Enrico and I review a lot of minicomics! 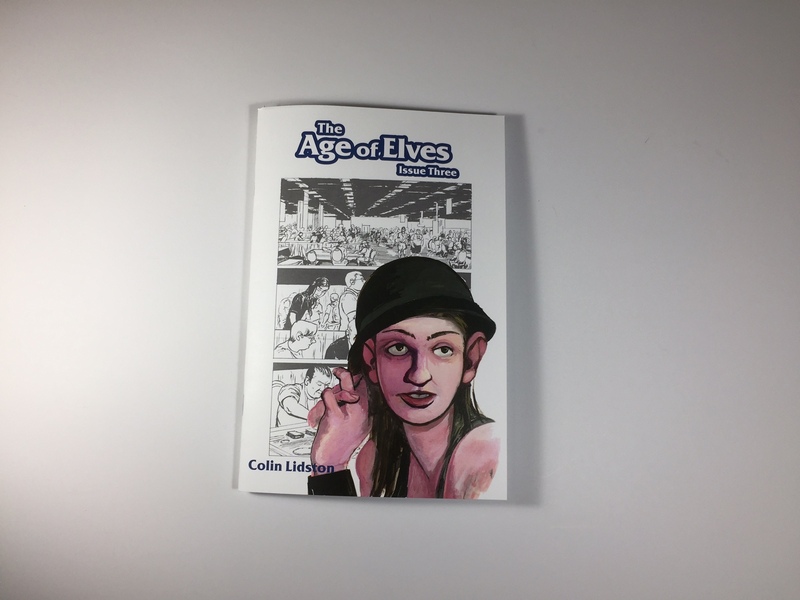 I’ll also be publishing the third issue of The Age of Elves by Colin Lidston. It’s a big issue to: 40 pages. The issue opens in Gen Con, America’s largest table-top-gaming convention. Sarah, Jamie, Bram, and Evan seem to be the youngest people in attendance. Sarah befriends an older LARPer couple. The first day of gaming goes well, until Evan fails to return to the hotel room that night. Preorder your copies by backing the Kickstarter. And both of these titles will end up in the store before too long. 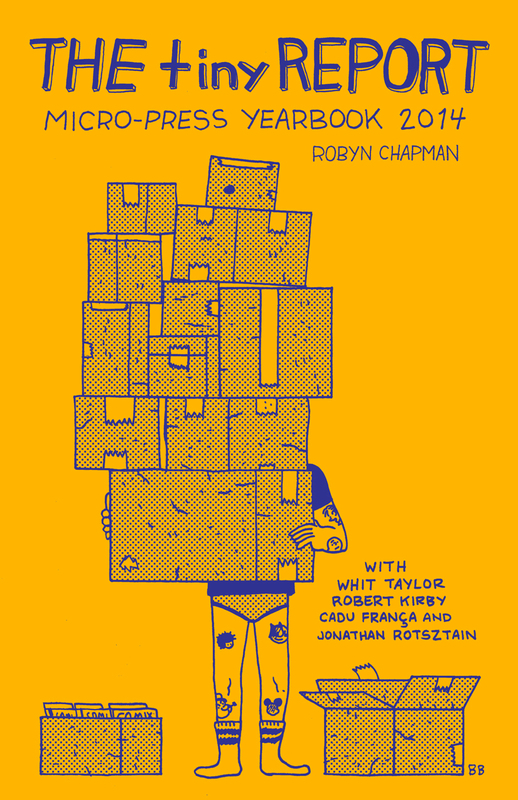 Paper Rocket will be at TCAF in just one week! We’re at table 234, on the second floor between Hidden Fortress Press and Breakdown Press. Pretty good company! 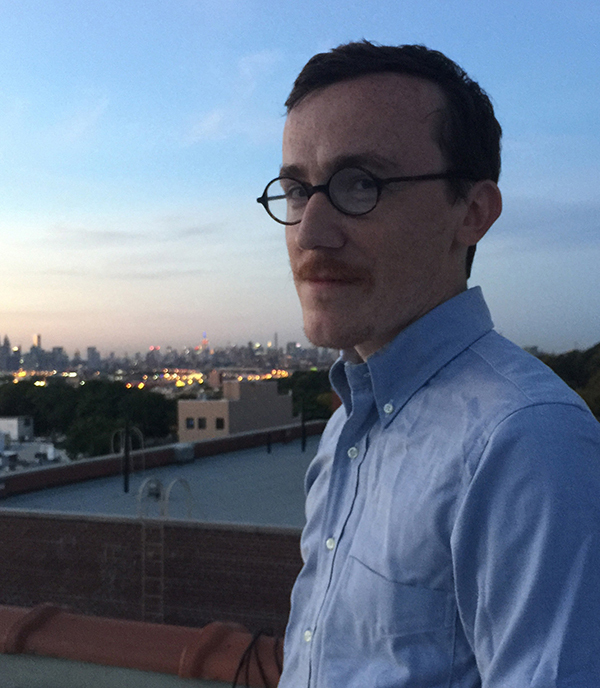 I’m debuting two new publications: The Micro-Press Yearbook 2016 and The Age of Elves Issue Two. And for one more week, you can pre-order them both through our Kickstarter! 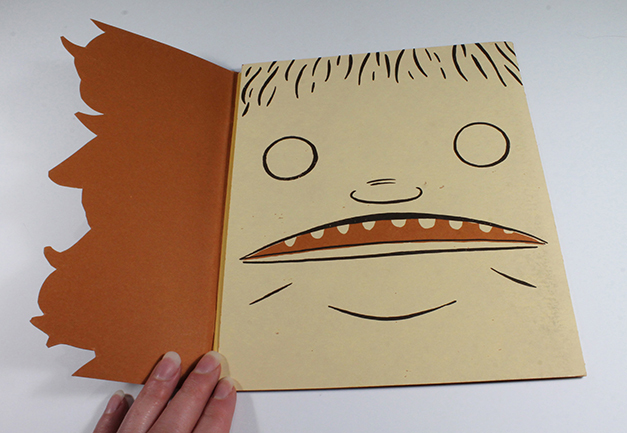 Penina Gal will also be at my TCAF table with a debut book. 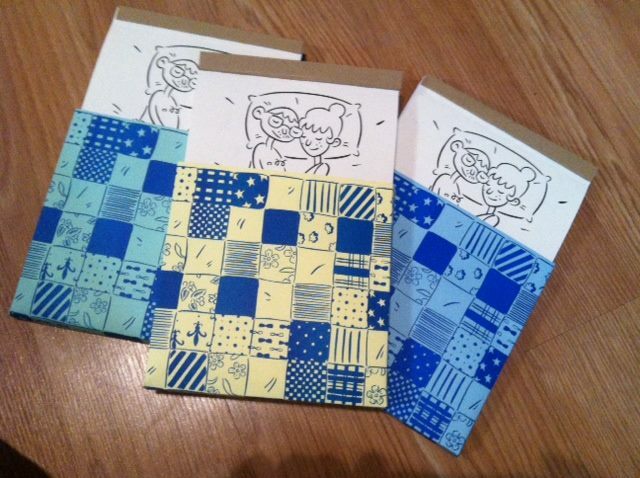 Penina’s debuting a self-published Risograph comic called Orbiting. It’s been a long year since my last update (!) but I hope I can make up for it with some exciting news. BUT! I still wanted to release two publications this spring. And one of those books was to be authored by ME, the world’s slowest cartoonist. (No really, I’m the one! Hi!) It’s been quite a while since I put out a comic of my own. It took a lot of long nights, but I was able to put it together right before MoCCA. 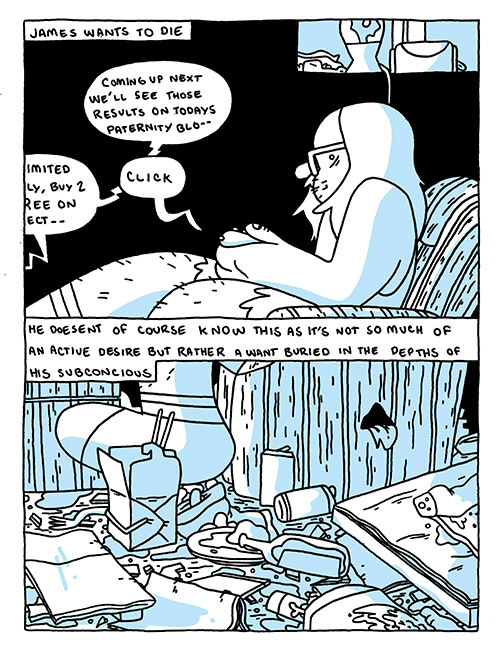 The second comics is by my friend Colin Lidston, who I first met when he wandered into Desert Island a few years ago. He’s a painter, and he was trying to learn how to be a cartoonist. 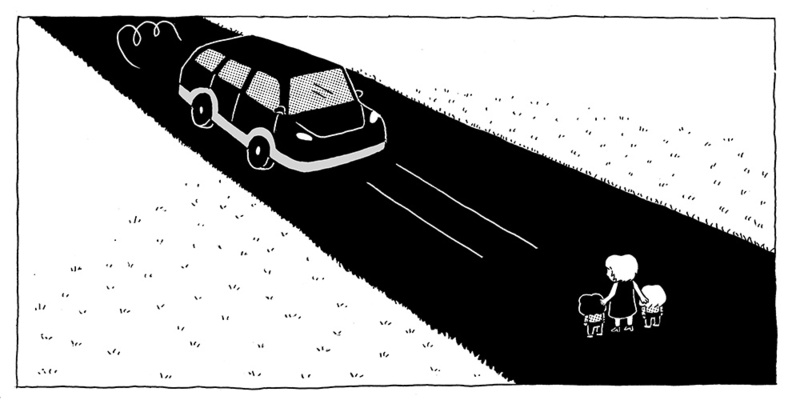 I’m happy to have published his first comic. With that, I’ll introduce you to the new books! The comic itself looks like a twin bed: it’s nested in a slipcase that resembles blankets. To open the book, you must pull the covers of the bed. 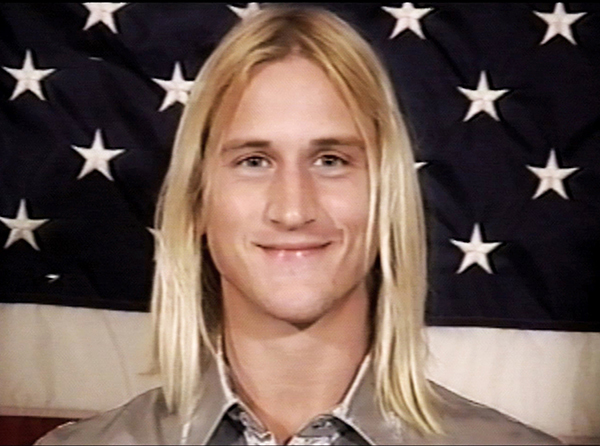 I actually conceived of the packing first, and built the story later. Next up is Age of Elves #1 by Colin Lidston. 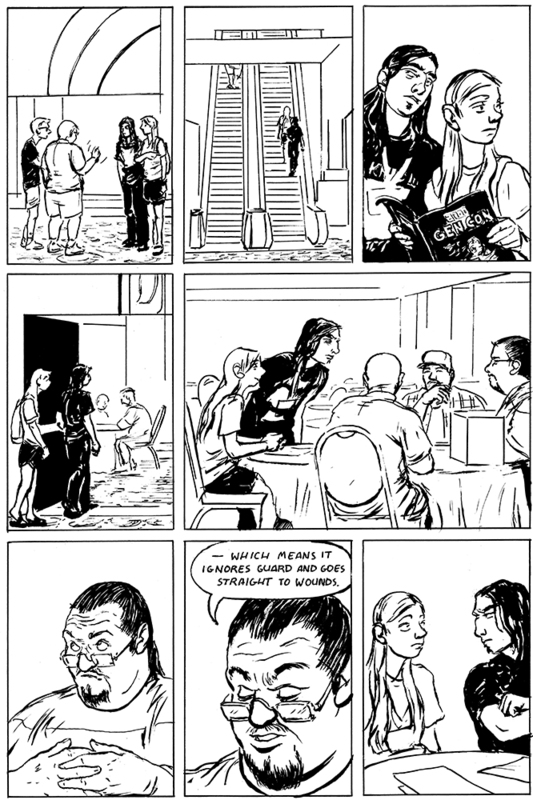 The Age of Elves is a comic about the souls of geeks. It follows the story of Sarah Loeb, a teenager with aspirations of being a fantasy illustrator. 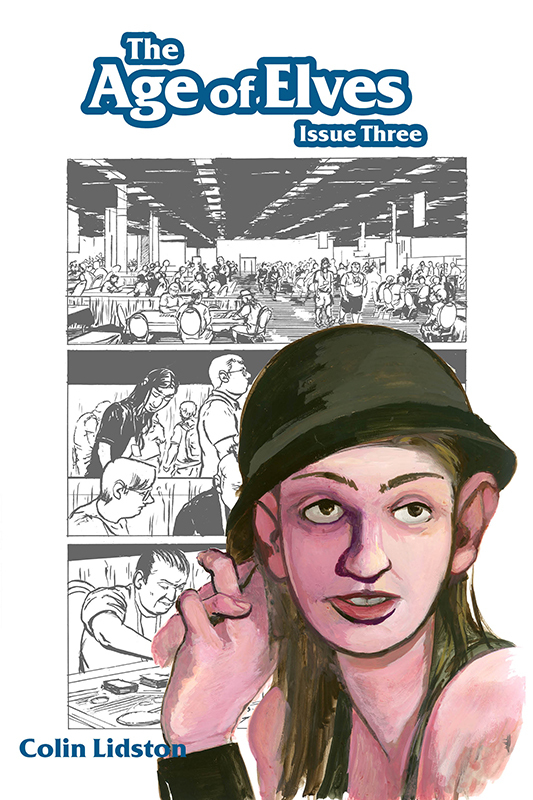 Issue one introduces us to Sarah and her friends on a typical day in the summer of 2000. Pizza is consumed, RPG adventures are had, and there’s a particularly heated debate about what’s really in that suitcase in Pulp Fiction. Both of the books are available in the shop. I also did a short and successful Kickstarter. (Check out the cool video!) I’ll be bringing these to a few conventions this year (SPX, Columbus Crossroads, etc.). And I’ll be getting started on the 2015 Micro-Press Yearbook soon. I’m not sure what my next big project is, but I have some ideas. 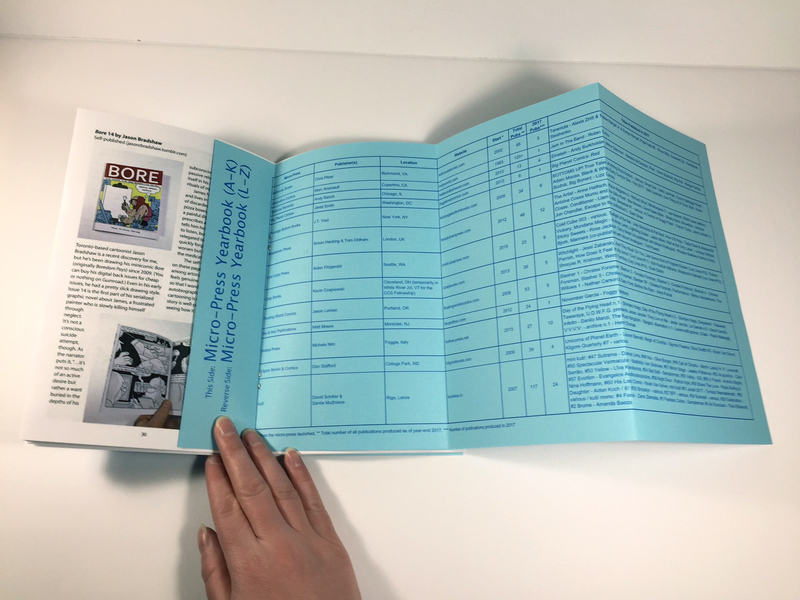 The Micro-Press Yearbook 2014 is available for pre-order through this quick and cheap Kickstarter campaign. With a cover by Box Brown and contributions from Whit Taylor, Robert Kirby, Cadu França, and Jonathan Rotsztain. It’s in full color this time, and with a lot more content! Just $7, which includes shipping. Blink and you’ll miss it! 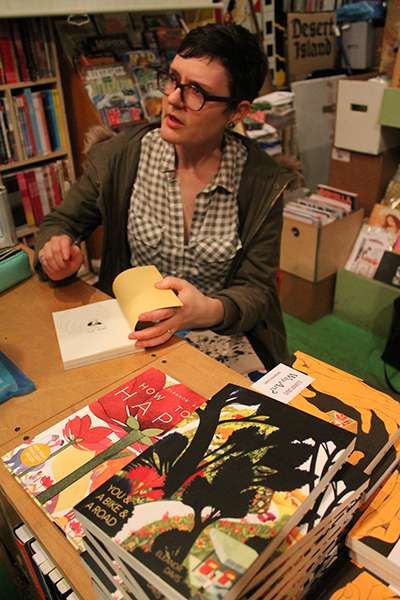 I’m only doing pre-orders for a week and a half, and then I’ll have a release party at Desert Island.